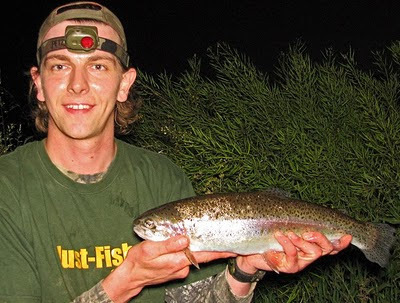 Andrew Kennedy's Angling Blog at Just-Fish.co.uk - Fishing Blog Coarse Fly Lure Pike Perch: River Season Starts with a Bang! 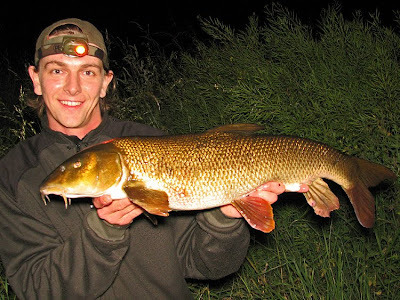 River Season Starts with a Bang! How great it's been to sit by a river in this glorious heat to while away an evening or two! After such a cold, long, snowy winter I'm not really surprised that the extremes of weather have gone full circle and now some of the reservoirs are dangerously empty! Normally with such dry and bright conditions the fishing is difficult but I've either been doing something really right (granted, I have changed a lot of my setup) or I've been extremely lucky (or more probably a bit of both) in my first couple of sessions of the season. Officially my first fish of the 2010/11 coarse season - a surprise Rainbow Trout! With my next three casts I hooked & lost a barbel (hook pull), landed a chub, then lost another barbel (another hook-pull!). 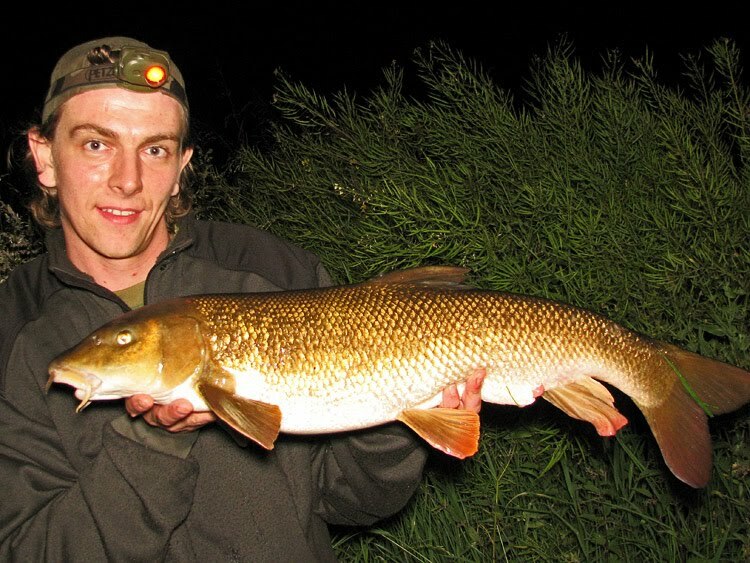 I thought that was it, my chances of a barbel were done for the evening, when a last-gasp screaming run turned out to be a really special fish for me; after 7 years fishing the Dove, I landed my first "double", at 10lb 5oz! The next evening I fished the same stretch, but arrived around 19.45 so I fed the swim for an hour by removing my hooklengths and casting & re-casting my swimfeeders. An hour and a half passed with not even a twitch on the rod tip. After my instant success the previous night, I thought I must have over-done the baiting and was starting to accept that the session would be more of an experience-builder rather than a fish-catcher, but I still held some hope of a bite from the swim I was fishing. At almost dead-on 11 o'clock my only bite of the session came. What a battle it was too! Four times I thought I had the fish beaten, but each time it came anywhere near the net, it swung out into the white water down the middle of the river and bolted back downstream. At least six or seven minutes passed and when I finally saw the long white belly flop over the net rim, I knew I'd landed another big fish. The scales proved me right; I'd not only beaten the previous evening, I beat my Personal Best too! This specimen weighed 10lb 10oz, was completely spawned-out and had a humungous mouth! The Dove snatches my PB back from the Trent!